Winner winner (Mexican) chicken dinner -- at Puk Sup! Today's Hot Entree Special ~ CHICKEN ENCHILADA $4.99 lb. : Today's Hot Entree Special ~ CHICKEN ENCHILADA $4.99 lb. Looking forward to guacamole from this Haas avocado tree in my back yard! The 20-foot tree sprouted from a seed on my kitchen window sill. 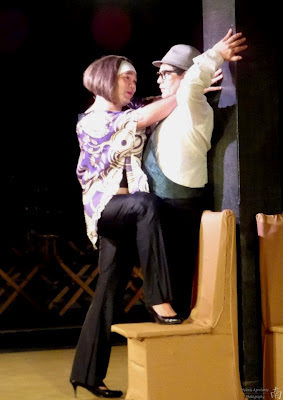 Maui play 'Lesser Ahi' is funny, touching, REAL! The plot: Fraternal twins Andrew and Anden Ahi haven’t spoken to one another in six years. As the ohana gathers for Anden’s wedding, we meet a circle of friends and relatives who want the brothers to heal their rift before the wedding. My friend Sally really really really wanted us to see this play! Irene noted on FB, "We saw it last night and laughed till we cried and sometimes just cried! The play will have two more performances, they decided to extend because of popularity. A must see for anyone who grew up in Hawaii and/or those who know Hawaiian/Local culture. 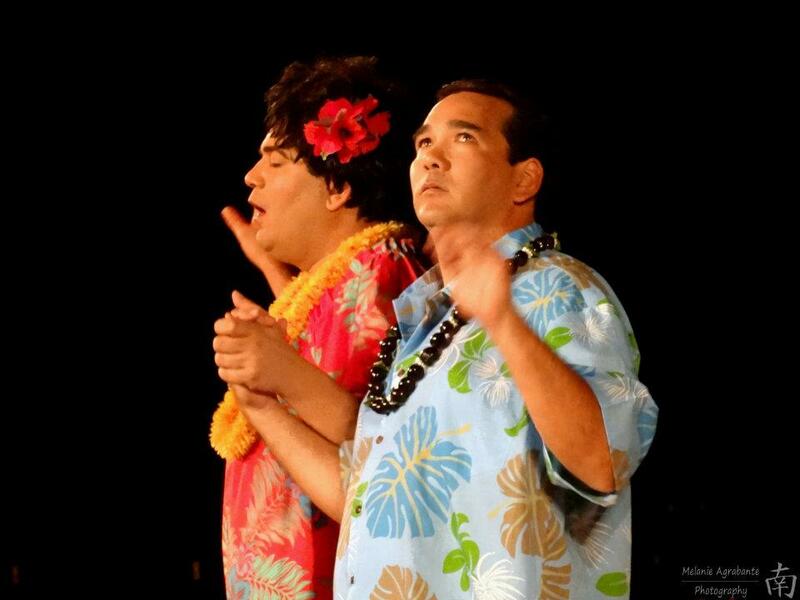 Go to Maui Academy of Performing Arts for tickets - NOW!" Irene's testimony was the clincher -- we knew we were in for a real treat. Did we recognize ALL of the characters? Yes. Was the pidgin spot on? Yes. Was it just like looking at ourselves? Yes. Did we laugh? Yes, yes, yes. What is the title "Lesser Ahi" all about? 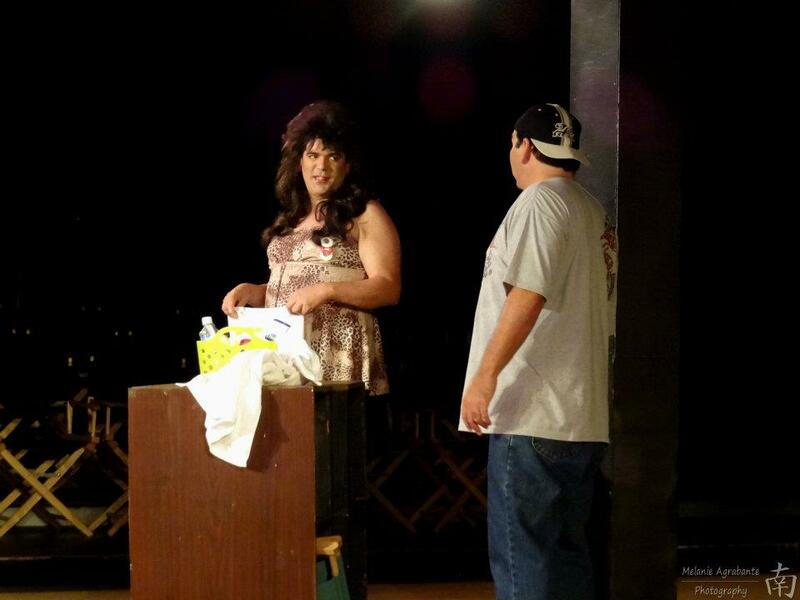 The title is a take on "Greater Tuna", a play where two actors play multiple characters in a small town in Tuna Texas. (Director) David Johnston came up with the title and told Derek and me to write a story with LOCAL flavor based on that concept. How long was this play in the making? The play was written in 5 months. Between Derek and I, we came up with the characters that we wanted and went from there. Who wrote the awesome song at the end? I wrote the songs. The last song "The Brother's song BROKEN" was written on a plane ride from Portland Oregon as I was coming home in '09. I missed Maui and my family and felt lost. The costumes were amazing! Any story behind them? MIN's costume was a Work in Progress. When the boots arrived, they necessitated a change in the top. Once I had the wig, the leopard print top and those boots on, I 'FOUND' the character. I was the one who wrote that scene. Andrew and his ex-girlfriend Min at her beauty salon. Photo: Melanie Agrabante. Francis noted that "After rehearsals, (which had ALL of us giggling and guffawing as Derek and I kept "Adding" things which had us trying to make each other break like Harvey Korman and Tim Conway from the old Carol Burnett show) DAVID (Johnston, the director) would be talking pidgin! We knew then that we had a SHOW. Bernadette puts the moves on Monty. Photo: Melanie Agrabante. Yes, the laughs were definitely a draw, but the story, a universal one about the importance of family and the power of love, really touched my heart. There are only two more opportunities to catch "Lesser Ahi": Friday and Saturday, May 11 and 12, at 7:30 pm. Call NOW before it's sold out! Ph. 244-8760, Extension 228. Or you can reserve online at mauiacademy.org. Or you can go to the customer kiosk at Queen Kaahumanu Center. There are rumors that the show might go on the road throughout the islands. I think that's a fantastic idea! "Lesser Ahi" is a cultural experience too good to end after next weekend. It demands a larger audience!